This customisable sticker features the initials of a couple and a date in a stylish monochrome circle. 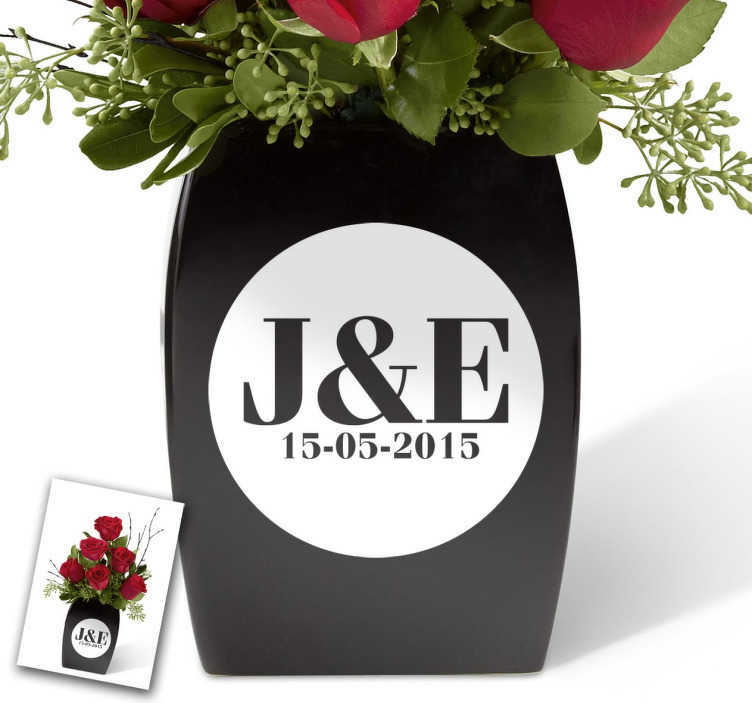 The ideal present for weddings or anniversaries, this vinyl is applicable to any hard surface, indoor or outdoor! Simply let us know the names and dates you wish to appear onto the sticker and the size you require and we would be happy to create it for you! Remember to enter the names and dates of your choice into the text box!